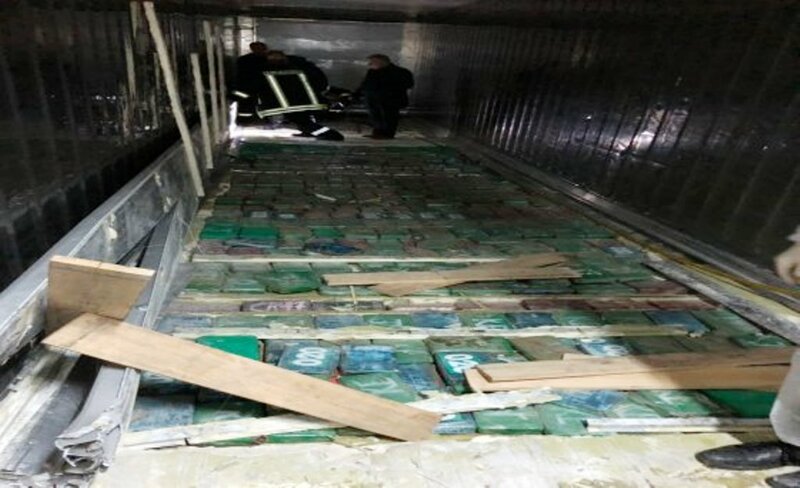 Following the accusations of the recent days launched by the Democratic Party alleging that the Interior minister’s brother is involved in the traffic of drugs, the Socialist Party has launched fresh accusations according to which, senior DP officials are related to the 613 kg of cocaine seized in Durres during the month of February. It was the Socialist Party whip, Taulant Balla, who said that Agron Xhafaj’s audio-recording aims at concealing the fact that the DP has connections with the enormous amount of drugs seized in Durres. “Wait and see, because the days to come will be decisive in revealing the links of the accused persons with senior DP officials, concerning the 613 kg of cocaine hidden in banana boxes”, he declared. According to Balla, this is preventing Albania’s path toward the opening of EU negotiations. But, the Democratic Party has immediately reacted about these accusations made by the Socialist Party. The Democratic Party MP, Gent Strazimiri has considered them a campaign of lies, manipulations and threats toward anyone who denounces the government’s criminal ties. According to him, these are lies that PM Edi Rama is telling to defend himself, the minister of Interior, Fatmir Xhafaj and his brother. “The same thing happened with the examination of Agron Xhafaj’s voice. By playing the role of prosecutor, Edi Rama told his next lie concerning the drugs seized in Maminas. Every Albanian knows that the Democratic Party does not defend criminals”, Strazimiri declared. Meanwhile, he continued by recalling several cases relating to the traffic of drugs. “The cocaine found in Xibraka and the one found in Maminas, the traffic and the cocaine labs in Albania, belong to Genci Xhixha, Ermal Hoxha, Olsi Rama and all the others. Edi Rama, if any of them is part of the Democratic Party today, you’re invited to come and arrest them all”, the democrat MP said.